Vehicle Tracking Systems GSM GPRS Modem gps vehicle tracking vehicle tracking system vehicle tracking device gps vehicle tracking system real time vehicle tracking vehicle fleet tracking vehicle tracking uk wireless vehicle tracking real time vehicle tracking system commercial tracking vehicle covert vehicle tracking stolen tracking vehicle device gps tracking vehicle vehicle satellite tracking vehicle tracking equipment gps real time tracking vehicle vehicle tracking software gps passive tracking vehicle south tracking vehicle Yorkshire covert gps tracking vehicle maintenance tracking vehicle vehicle tracking services vehicle tracking system uk gps Oregon tracking vehicle commercial system tracking uk vehicle Georgia gps tracking. • Anywhere in the world within GSM Mobile Phone coverage. • Memory Backup: Flash Memory – Data retention – 200 Years. 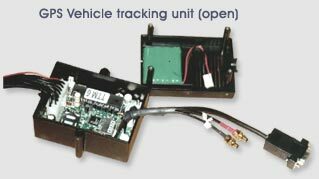 • Built in motion switch (the unit can be mounted in any position for activation). • Four negative outputs (200mA max per output). • Seven inputs (active low/high to activate input). • Detects external power loss. • Operating range -40 deg. C to +85 deg.C. • Storage range -55 deg. C to +100 deg. C.
• Adapter sync cable option. • Defaut NMEA-0183, version2.20 with a baud rate selection status, and Control NMEA, RMC, VTG, GGA & GSV, 4800bps, 8, N,1. m2m india, motorola, siemens, lucent technologies, bell labs india, at&t gsm mobile india, airtel, idea, bpl mobile, gam antenna, GSM, GPRS modem, module, gprs, vehicle, tracking, GPS, AVL, system, locating, locator, monitoring, gsm-modem, gsm-module, automatic, vehicle, locating, gps, gsm, vehicle, truck, vessel, satellite, satelite, GSP, GMS, avl, systems, gsp, gms, SMS, sms, wireless planet india, wireless products, machine to machine comunicaiton, pune, mumbai, delhi, kolkatta.